When programming any MCU, no matter Arduino IDE, Keil, Atmel studio or other compilers and assemblers, many times we got intro problem not knowing what happening on our data transfer from and to MCU. For example, we want to use I2C protocol for communicating with some sensor, but it does not respond. 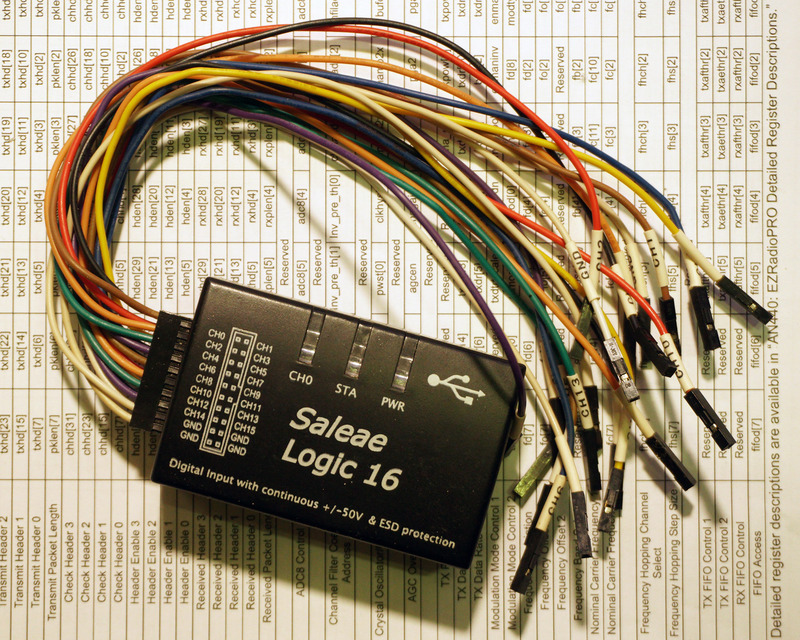 Many things can be wrong, and without logic analyzer, we just don’t know whether our code is wrong, the sensor is broken, or maybe something else. Cheap Chinese clone or professional one? Recently I had problem programming STM32 and connecting OLED display. Despite spending hours googling what exact command should be implemented, and reading their documentation, I was not able to get picture on the OLED display. Then got idea – programmed Atmega 328p with Arduino example, then put logic analyzer to I2C bus, and got the codes for initialization of the display. Another example is when I wanted to know toy grade quadcopters, how transmitter and receiver know where to ‘jump’ by using ‘frequency hopping’. Using SPI protocol and Logic analyzer, I was able to see exactly what is ‘the secret’. Aside many bytes that transmitter sending for moving flying device up/down, left and right, there is one byte that constantly changes even when remote sticks are still – that is information for next channel. So, TX sending information on current channel, then last bit is channel number for next transmission. Whole protocol is made so that if it goes briefly out of range, or missing one packet due to noise, receiver back to original ‘calling’ channel, and in the same time transmitter sending on this channel periodically next possible channel where will be next time. That is so cool to know.